Sidewalk chalk is a staple of our summers. We even keep it in our summer fun activity bag so we have some whenever we'd like. 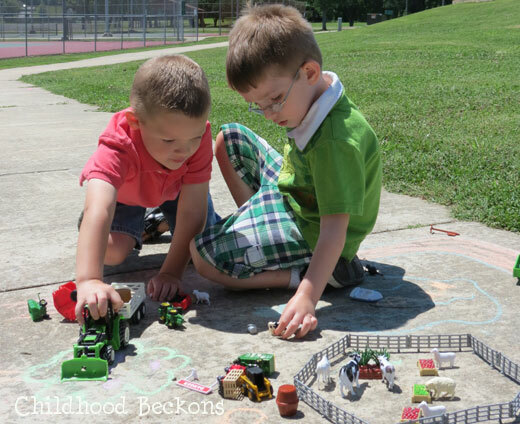 And we love to use sidewalk chalk as a base for more pretend play. 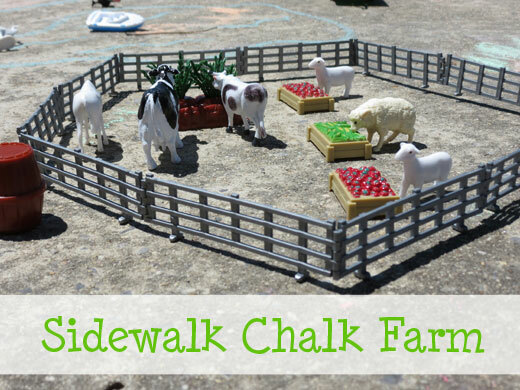 On this day we added some animals and other toys to make a sidewalk chalk farm for a fun playdate. We started by drawing the base of the farm. We drew a farmhouse, barn, pond, lots of grassy spots for the animals to graze, a dirt road, and sun. Then we added the toys! The boys set up various areas of the farm before they decided to do some farm work. They plowed the fields, fed the animals, and went fishing in the pond. This definitely encouraged pretend play and sharing. 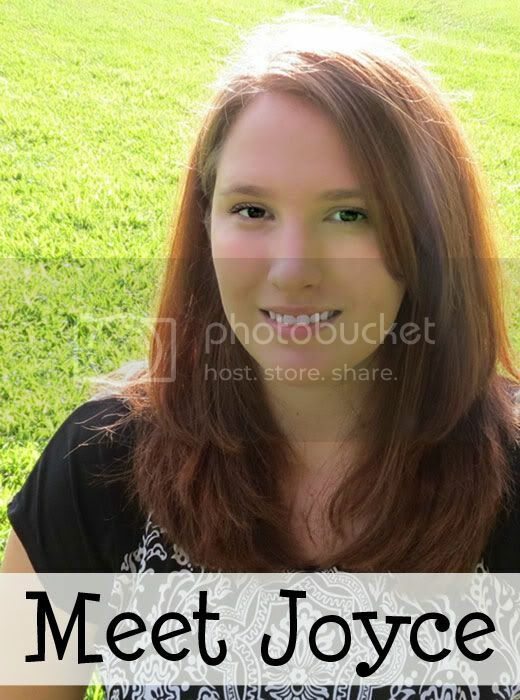 This is such a great activity because you can really tailor it to your kids' interests! We've had a lot of fun with pretend play cities where we only needed an imagination, the sidewalk chalk, and a few cars. Encourage each family to contribute a type of toy. 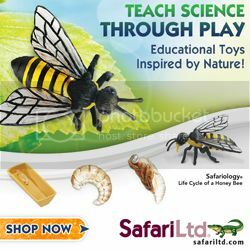 Have the toys differ for ease in pick up and to ensure that the toys go back to the right home without quarrels or confusion. For instance, one family could bring the animals and another family could bring the tractors. I love it Joyce, we use farm animals and we use chalk but we have never combined the two. This looks like a lot fun! We need to try it at our house. I love your farm set! Fun idea. I had already pinned this post, before I even saw it in the KBN thread. It is such a wonderful simple idea! Your son is growing up so fast! It's cool to watch! We have been traveling and sidewalk chalk has been a real help! it's so mobile and the possibilities are endless! neat to see this after you described it to me! Completely awesome! This encourages imagination, creativity and storytelling. I am definitely going to try this with E.
Love it! We just did a sidewalk chalk road and it has been hours of fun! Oh my goodness... I've never thought of drawing play scene with sidewalk chalk! This has just opened up a whole world of sidewalk chalk fun for us!! This is such a fantastic idea! 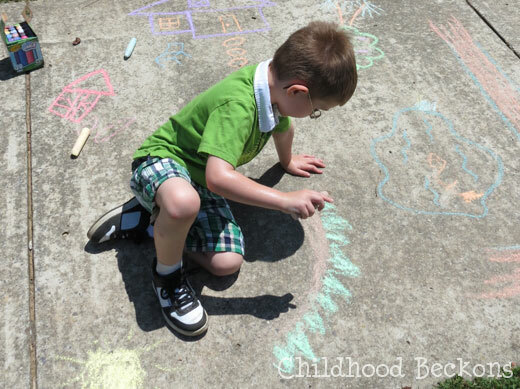 We love chalk, but adding some toys would make the activity last that much longer. We might have to try out a super hero town!